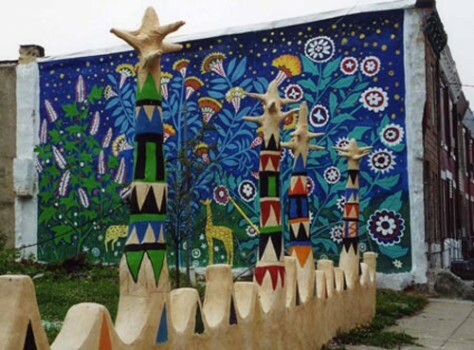 Located on York Street between 12th and 13th Streets, Turtle Park was completed in 2003. 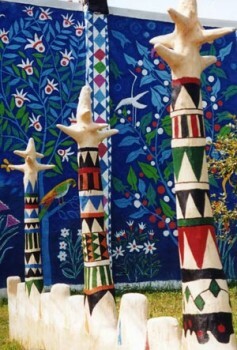 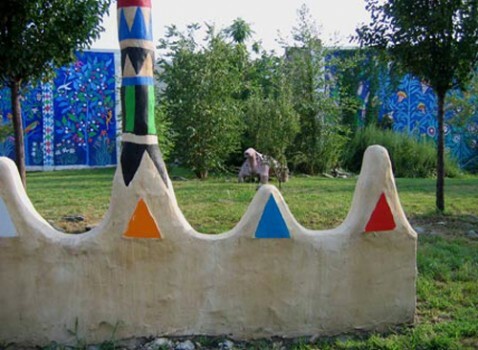 The Park has the typical Village styled undulating wall marking its borders and the columns on the wall take on an organic and tree like quality. 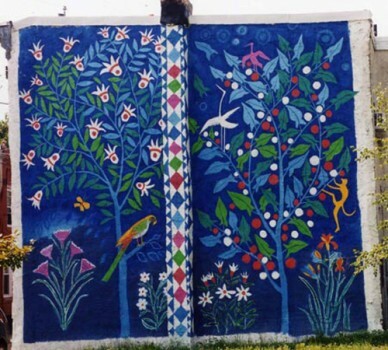 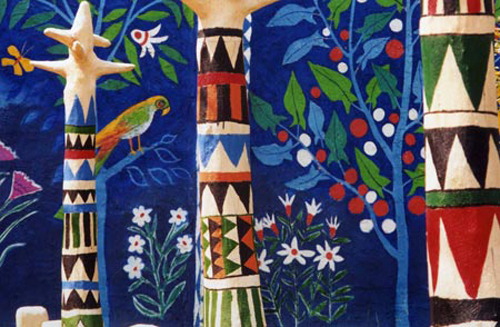 Lily Yeh designed the two murals with birds and animals on trees bedecked with dazzling blossoms against an intense azure sky. 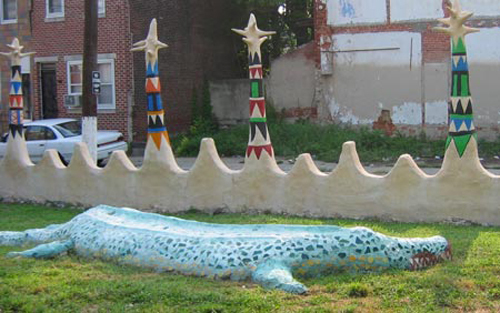 Turtle Park hosts a large crocodile and a huge and lengthy serpent on either side of the Park. 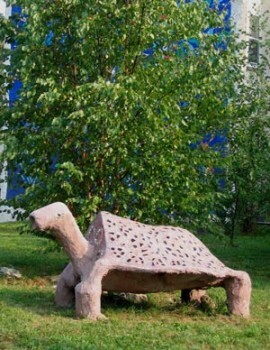 In the center stands an impressive and dignified looking turtle, which gave the park its name. 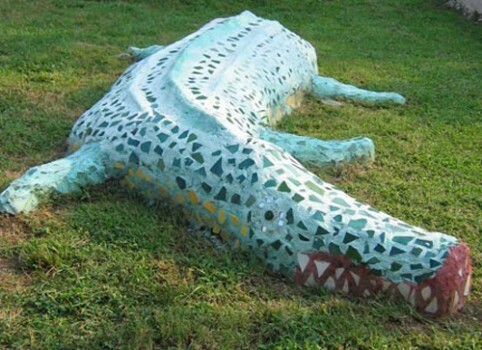 Along with The Village crew, James (Big Man) Maxton constructed and placed mosaics on all of the animal sculptures.